Item # 308066 Stash Points: 995 (?) This is the number of points you get in The Zumiez Stash for purchasing this item. Stash points are redeemable for exclusive rewards only available to Zumiez Stash members. To redeem your points check out the rewards catalog on thestash.zumiez.com. 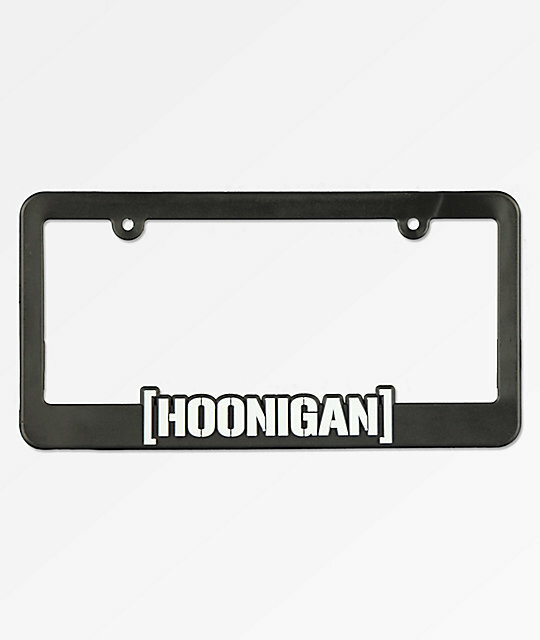 Show off your true Hoonigan spirit with the brand's signature CBar License Plate Frame. Made from a durable plastic construction and featured with the brand's classic logo script in bold white. CBar License Plate Frame from Hoonigan. Signature Hoonigan logo script in white. Note: Mounting hardware not included.